You’ve probably read an article online saying video has become your best bet for audience engagement on social media in 2018 and now you’re getting ads for quick pre-fab video tools for you to use. You know the ones we’re talking about. Goofy videos of people dancing, or people in animal outfits being silly trying to promote their pre-fab video products. Let’s be honest, there are plenty of products out there that can publish a video in a few seconds but using those will hardly make you unique. What can be done to stand out? Consider making a 360° video to tell your story? There’s no doubt you’ve encountered more and more 360° videos online. Large brands are using them to tell their story, feature their products and create engaging experiences for their users. Here are some great examples from Oreo, Warner Bros., and Gatorade. Clearly, these brands see the value in creating an immersive experience. Let’s compare 360° video engagement with regular video. 29% more views can be attributed to 360° video when compared to the same video in a standard format. 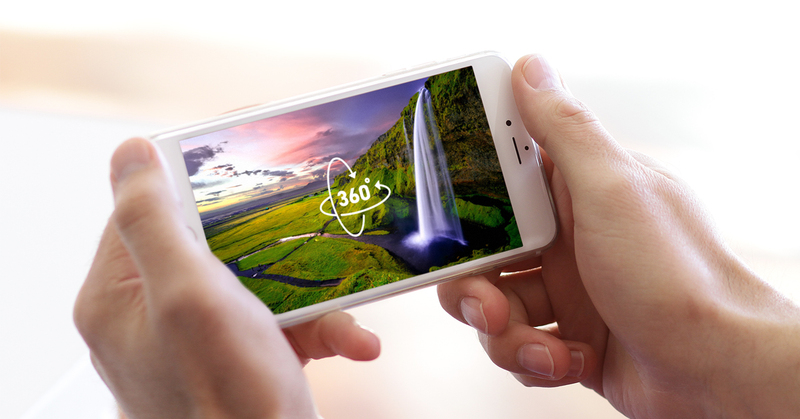 360° video allows brands to put viewers inside of an experience. 41% more actions (views and shares) were attributed to 360° video versus traditional ads. clickthrough rates for 360° videos average 4.51%, compared to 0.56% for traditional videos. average percentage viewed for the 360° video was 28.81 percent higher and double the viewers watched the video to completion. You might be thinking that 360° content is inaccessible because of technical limitations or budget. Radcliffe & Co. can create experiences like this for your business. Today. Creating a 360-degree video for promotional purposes does take more effort than making a standard video but as you can see above the benefit is much higher. They’re so much easier to produce than ever before that there’s really no reason not to. This isn’t exactly a new technology but what’s new is the hardware that enables us to produce 360° videos faster and more feature rich than ever before. Typically, we can produce AND publish a small 360° video for something like a virtual tour in about an hour. Want to know how long it used to take? Months. A long, long time ago we created an Apple QuickTime VR Tour for the Vocal Group Hall of Fame website. A project like that required that you put a camera on a tripod, take a picture and then move it 15° then repeat until you’ve taken a sphere of photos. Even after all that you were only halfway done. We would stitch all of the photos together in Photoshop and then QuickTime VR to publish a virtual tour that would require the user to install a third party plugin in order to even view the video. The whole process was a lot of work that we’re glad to see in the distant past. Beyond 360° video is augmented reality. As the technology and usage of 360° videos increases, we’ll soon be able to interact with objects and information within the videos. AR will allow for a whole new level of engagement. Want to know what’s even better? We can create your 360° video and use it as a paid ad on social media and many other places with minimal effort. Slap it on your website and users can start their experience immediately with no additional software needed for installation. Here’s a 360° video of one of us in an open lap on the Indianapolis Motor Speedway in a Chevrolet Corvette! Are you as excited about 360° video as we are?! Radcliffe & Co. can help your business start using this new and highly engaging format. Send us a message or give us a call at 724-209-7852 today! Facebook News Feed Changes: Don't Panic!